In what was otherwise a mediocre US jobs report (a lower-than-expected 261K jobs were added), the surprise was not in the establishment survey, but the household. The unemployment rate fell once more, sliding to a new cycle low of 4.1%, because there was a sharp decline in October. The labour force participation rate slid from 63.1% to 62.7%, back to 4-decade lows, driven by one disturbing metric: the number of people who exited the labour force soared by a near-record 968,000 in October, the third-highest ever, pushing the total number of people not in the labour force to a record 95.385 million, as the civilian labour force shrunk by whopping 765,000 in one month. 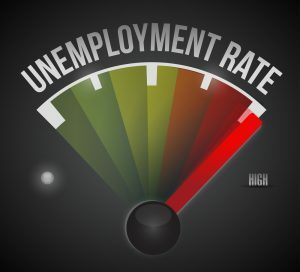 This took place as the number of employed Americans declined by 484,000; however, since the unemployment rate denominator dropped more, it translated into an actual decline in the unemployment rate. So much for economists’ hopes that workers are coming back to the labour force. Of course, the implication is even worse: With more slack being created in the form of workers who are leaving, not entering, the labour force, this creates a buffer for wage growth, and suggests that any hope for rapidly rising wages has once again been derailed.